This article is going to start exploring the important role that upper body elasticity contributes to throwing velocity and the evolution of the human species. That last part might sound a bit weird but when I was gathering information for this article I came across some pretty interesting research. It suggested that the elasticity of the upper body provided the human species with a unique and important advantage allowing us to hunt and kill prey which in turn provided the nutrients (proteins and fats) required to develop bigger and better brains. This advantage is our ability to throw. Charles Darwin himself noted that the unique throwing abilities of humans, which were made possible when bipedalism emancipated the arms, enabled foragers to hunt effectively using projectiles. This means that once we didn’t walk on our hands we could use our upper bodies to do other things like a throw. This is great because compared to other carnivores humans are weak, slow and lack the natural weapons like claws and fangs used to hunt an animal. We had to rely on the one thing we can better than any other species which is to throw rocks and spears. This is how scientists believe that our caveman ancestors were able to hunt since we have been eating meat for the last 2.6 million years and killing large pray for the last 1.9 million years both of which predate hunting tools like the bow and arrow. 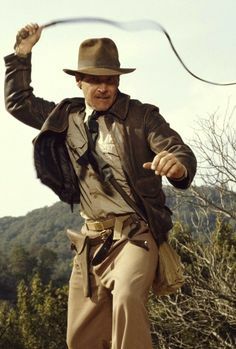 The ability to throw fast and accurate in modern times is important if you want to be a successful pitcher but back a couple of million years ago it was important for survival which made it a trait that was improved due to generations of natural selection. Here is a quote from a study by Dr Neil T. Roach who is an anthropologist from Harvard which confirms this idea. This quote contradicts the research done by Nike et al. (1996) stated that “Chicks love the long ball”. Perhaps modern day females dig the long ball but cave woman was definitely more interested in throwing ability. Here’s a link to the awesome commercial starring Greg Maddux and Tom Glavine. In the study I mentioned from Dr. Neil T. Roach there are 3 distinct physical differences that separate humans from chimpanzees (our closest relative) which allows us to store and release more elastic energy. Everyone has heard that chimps are much stronger than humans but throwing relies more on elastic energy in the upper body. Check out this page and click on the video for more info from this study. Now there are exceptions to every rule. The chimp in the 1996 classic “Ed” co-starting Matt LeBlanc could throw absolute gas!!! If you’re asking why should you care about these differences between chimps and humans its because it gives us a better idea of what to look for when developing hard throwers. Knowing what allows humans to throw hard might give us some ideas of what to look for when trying to determine what allows certain humans to throw harder than others. Let’s look at each of these traits in more details, today I am only going to cover #1 and the others for part two in this series. You don’t need to pull out a ruler to see that the distance between the top of the hips and collar bone is much bigger on the left. 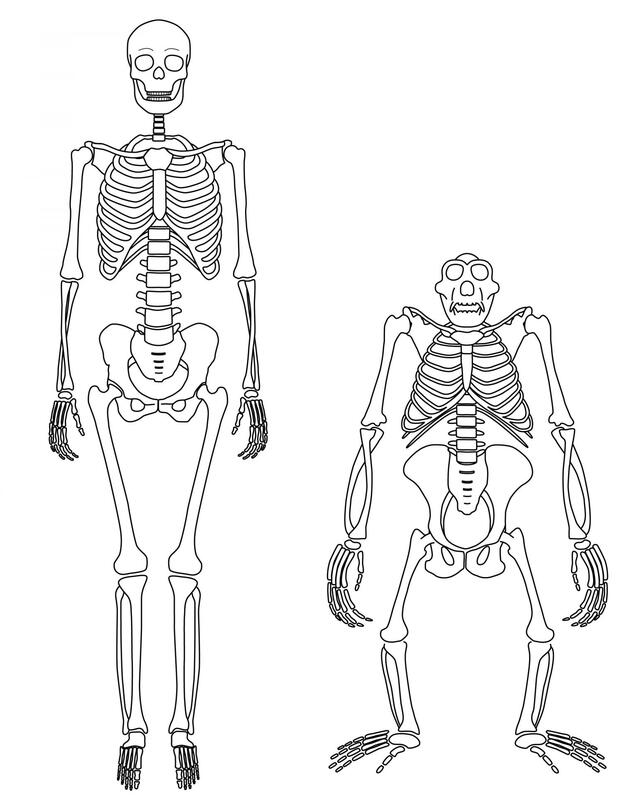 The relative distance would still be greater in humans if we took their overall height in consideration. Notice the small gap between the hips and ribs on the left. The elasticity we get from our trunk/core doesn’t come from a single muscle and its tendons but rather a series of muscles and tendons that run into one another which create a “sling” or “serape” shown here. Let’s look at how these muscles work during the initial phases of the throwing delivery. Here we load up the posterior sling/serape from the right foot to the left shoulder. The picture below shows what this looks like in a golf swing. If you were to go golfing and pause at this point in your backswing for a second or two you would lose some serious distance. The pause would eliminate a lot of the elastic energy stored in these muscles. As the body moves forward the anterior sling/serape gets loaded from the right arm to the left leg as they are extended and abducted respectively like we see in the picture below. By extending the right arm and abducting the left leg these two body parts are moving in the opposite direction which causes the muscles and tendons to be stretched. This is why we want a good amount of stride length – which depends on a bunch of other factors so don’t try to get 125% of your height just yet!! When the left foot hits the ground the left hip decelerates while the right hip continues to move forward and rotate. As the back/right hip rotates forward in a counter-clockwise manner it unleashes the stored elastic energy between the hips and shoulders. The stored energy in the posterior sling/serape from the “wind up” phase is also adding to rotational power by pulling the left shoulder in the same counter-clockwise direction. See how Kimbrel still has his posterior sling/serape loaded this late into the delivery. One of many reasons this guy throws really, really hard!! Here is how it is described in an article by Santana, McGill, and Brown. 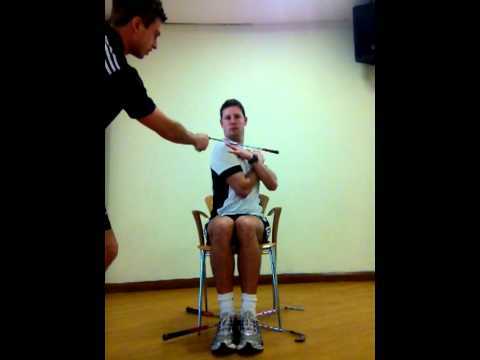 This highlights the dual role that the core plays in that it transitions from a force producer, when it is being stretched and separated during the “cocking phase”, to a force transmitter in the “acceleration” phase when the muscles contract and produce stiffness. If you want to learn more about the importance of core “stiffness” check out this article I wrote about how grunting can help you throw 5% harder!! The terms “stiffness” and “separation” contradict one another but the balance and timing between the two are vital to our overall success. Without a stiff core you can’t transfer energy efficiently but without the separation, you don’t have any energy and speed to transfer in the first place. This is obviously complicated and teaching it to someone is even harder. So let’s find out what kind of separation ability we are dealing with so that we can at least aim our efforts on the mound and in the weight room to meet the individual needs to the athlete in front of you today. 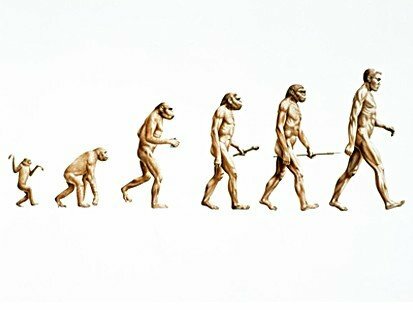 If we remember back to the traits that Dr Roach listed which allowed humans to throw hard it was our “tall & mobile” waist which was the first of three distinct differences between humans and chimps. So let’s test to see how “tall” and how “mobile” we are since everyone is going to be different. By looking at the results of the seated vs standing height which we already discussed in the “antropometrics” article we can get a better idea of the distance from their hips to shoulders. The seated height goes to the top of the head so this could be made a lot better if we subtracted the neck and head height. 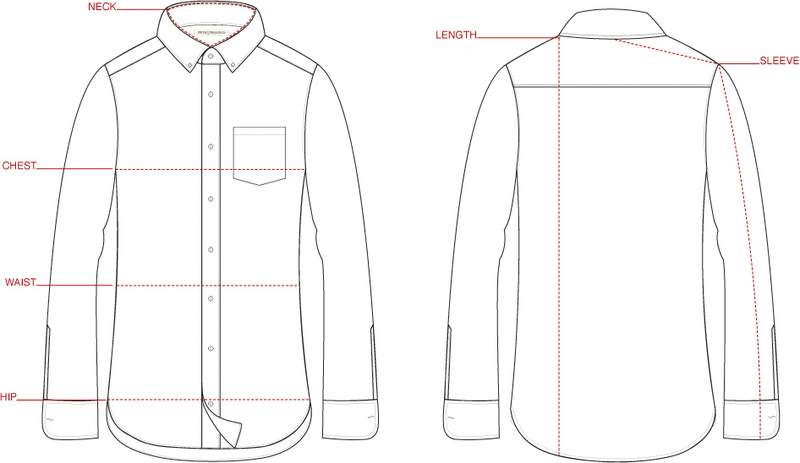 It would more like a tailor taking a measure for the length of a shirt like we see on the right. Since this distance is something that can’t be changed, unless you are dealing with young athletes, we have to work our mechanics around these results. Using a seated rotation test, which was listed in the “Mobility” article, is a simple way to get some great information. Obviously, if you don’t have much ROM here you shouldn’t focus your mechanics around this power source but there are lot mobility drills that you can use to improve this score, namely t-spine extension and rotation drills. The limitation of this test is that the athlete is producing this ROM by using only their muscles which is called active ROM. Passive ROM, on the other hand, involves the therapist applying an external force to move the athlete through their range of motion that goes beyond what the muscles can produce when moving slowly in this type of testing situation. The distance that a therapist can rotate you past your active ROM to the point where your ligaments or joint structure stop you can as give us some clues in regards to your elasticity. Ligaments and joint structure are just a couple of the reasons why there might be a difference between the two types of ROM which is why it’s important that you have a professional therapist carry out these types of assessments. If the guy in the picture could push on the stick and cause more rotation this would be passive ROM. Even more, force is being applied when we pitch which is we should compare these clinical numbers to the ROM we see with a slow-motion analysis of the pitcher throwing. This extra bigger ROM that happens when we pitch is due to the linear power we create when you move down the hill. The same thing happens when we do a depth jump compared to a standard vertical jump. The extra height that we drop in from causes more of a stretch making it more “elastic” than the standard jump. If I’ve got you confused here check out this sports science video where that explains why PGA golfer Padrig Harrington can get more separation and distance when he uses a “Happy Gilmore” approach. Go to the 5:15 mark of the video for their description. This would be the case for a long toss or Run n’ Gun type throws as well making it an appropriate drill for those who need to improve in this area. Here are some tests that double as training exercises to help gain even more insight while providing a training stimulus to allow the athlete to improve their performance. If we look at how fast or how far you can throw a medicine ball using a rotational motion we can see how efficient players are at storing and releasing elastic energy in a rotational fashion. There are some pretty high-tech med balls out there that have sensors which tell you how much power you’re producing which is awesome because any time an athlete can have accurate and instant feedback you’re going to get better training effort when they try to beat their previous score. If you don’t have $500 for a really fancy medicine ball you might have to use distance as a marker or hope that your radar gun can pick up the med ball’s velocity. Either way, these tests require some practice in order to learn the skill so that you get better results. These tests and their results will help us develop a better profile just like the various types of jumps did in the previous two articles with vertical and lateral jumping. Here we instruct the same as above but we make the athlete pause for a full 1 second before they rotate towards their target. This method doesn’t use the stretch-shortening cycle. The added approach speed seen below adds both momentum and stretch placing it further along the elastic end of the spectrum. Please note that these are two different styles of med ball throws. The first two are what I call a “scoop toss” while this last one is a “horizontal shot put”. Be sure to compare the results using the same style of throw but use both during the training process. Also, take note of how heavy the ball is since the heavier it gets the more we have to rely on muscles only while lighter balls allow for higher speeds which can cause stretch-shortening cycles to play a larger role. So can get some useful information in two ways. The first is to compare the scores and ratios between the pre-stretch, static and Happy Gilmore throws using the same weighted med ball. The second would be to use the same type of throw and looking at the scores using say a 4, 8 and 12 lbs med ball just like we look at our velocity difference between 4,5 and 6 oz baseballs. The best part is that med ball throws are great training exercises that specifically target the muscles and movements that pitchers need to be more successful. How does this Play into Mechanics? Should you rotate your shoulders towards second base during the wind up like Johnny Cueto or should you stay squared up towards 3rd base? Should I stay closed with my front foot and hip for as long as possible as I make my way down the mound to deliver a quick powerful rotation? Or should I open up early to allow more time for more separation to occur?